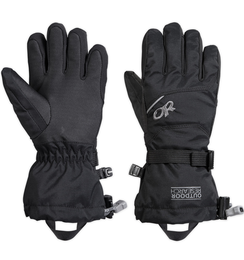 Keep your hands warm on a long day of cold-weather trekking with the Flurry Gloves. 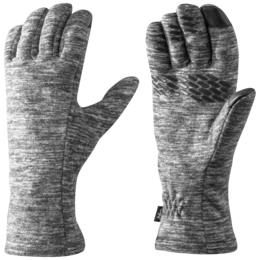 Constructed of Alpin-Wool™ Plus fabric, the wool/nylon exterior pulls moisture away from the skin, while the soft fleece interior provides the ultimate in cozy, warm comfort. 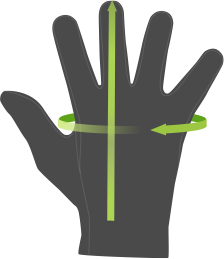 Motion Wrap™ palm construction, a snug, stretchy fit and touch-screen compatible silicone prints on fingers combine for excellent dexterity and grip. My kids loved these little gloves and have been wearing them every day since they got them. 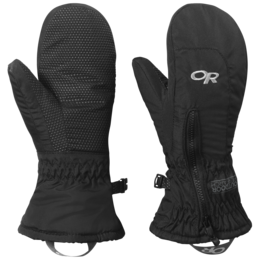 Fit nice and snug without the floppiness that you get with those thin cotton gloves. 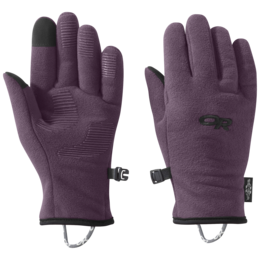 Our children have been wearing these gloves on cold days for the last few years and we have recently purchased all new pairs to keep their fingers warm for a while longer. 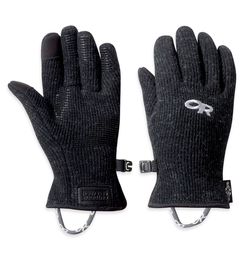 We love the look, they love the warmth and comfort.